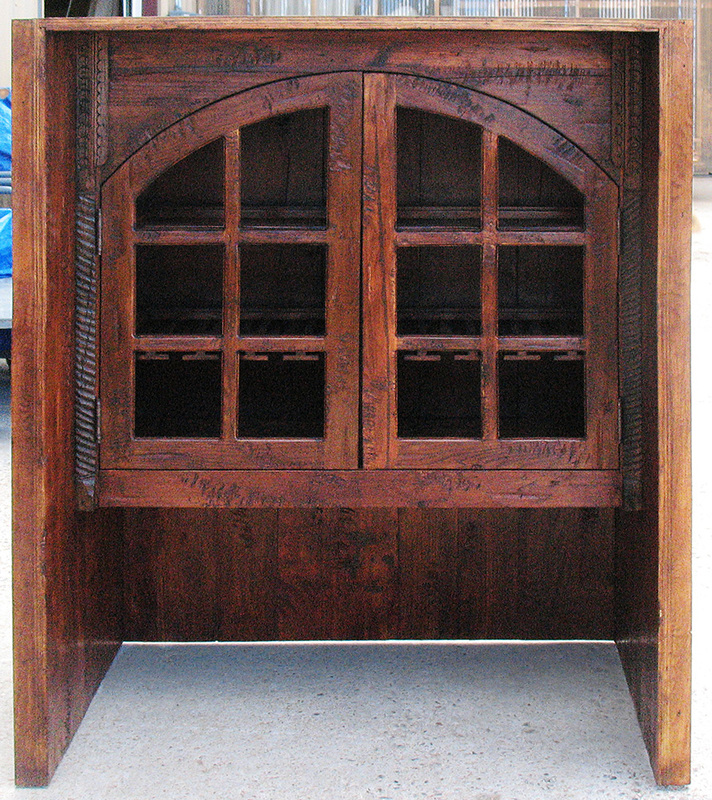 This built-in living room bar cabinet features a sink and under cabinet lighting. 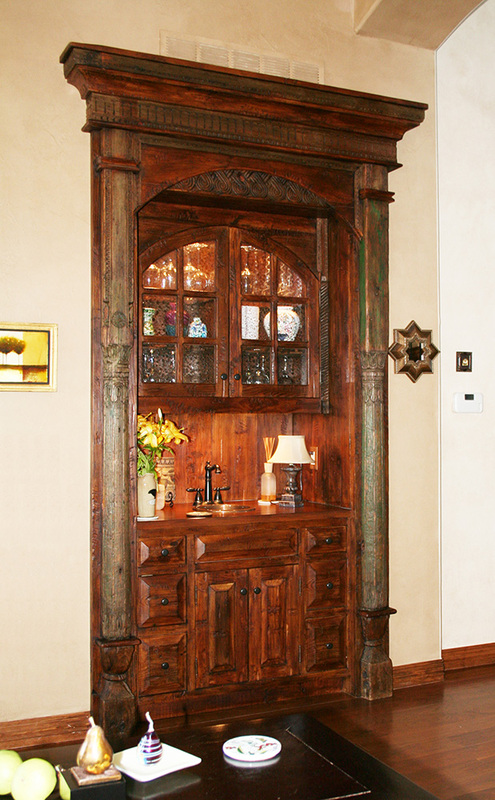 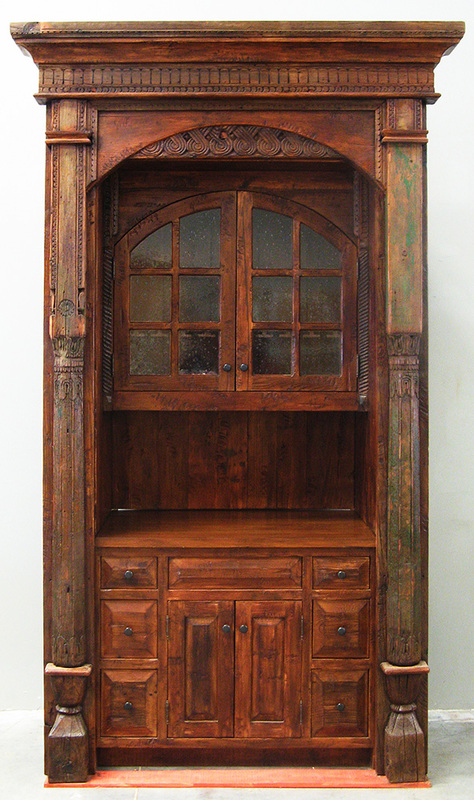 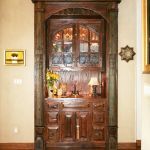 Built with antique carved columns, intricately carved panels and antique woods. 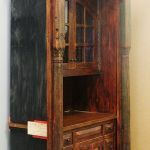 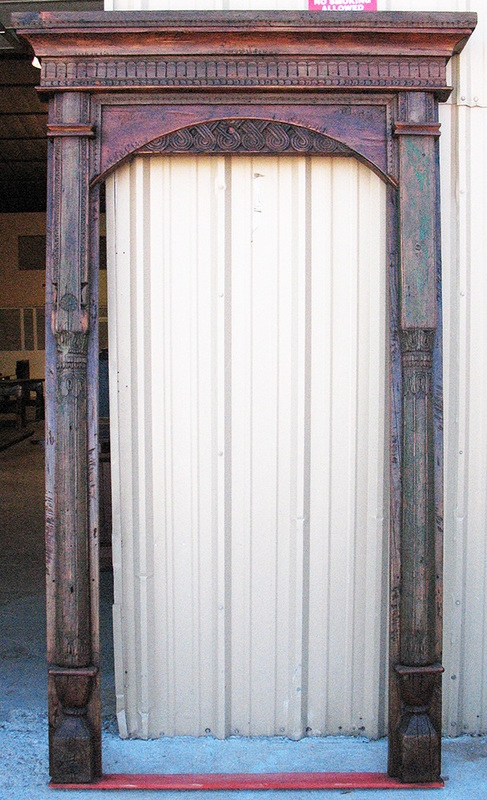 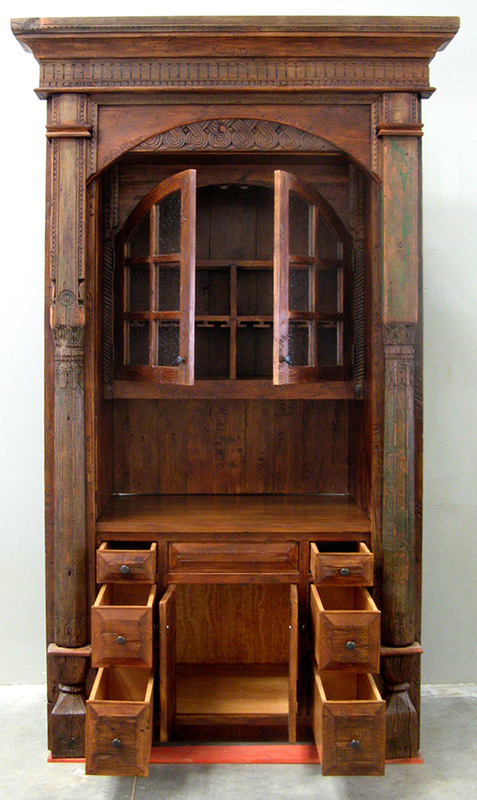 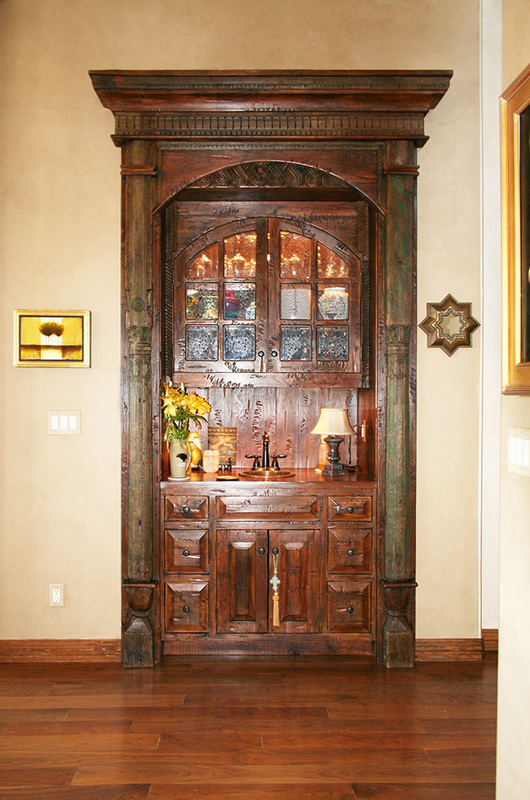 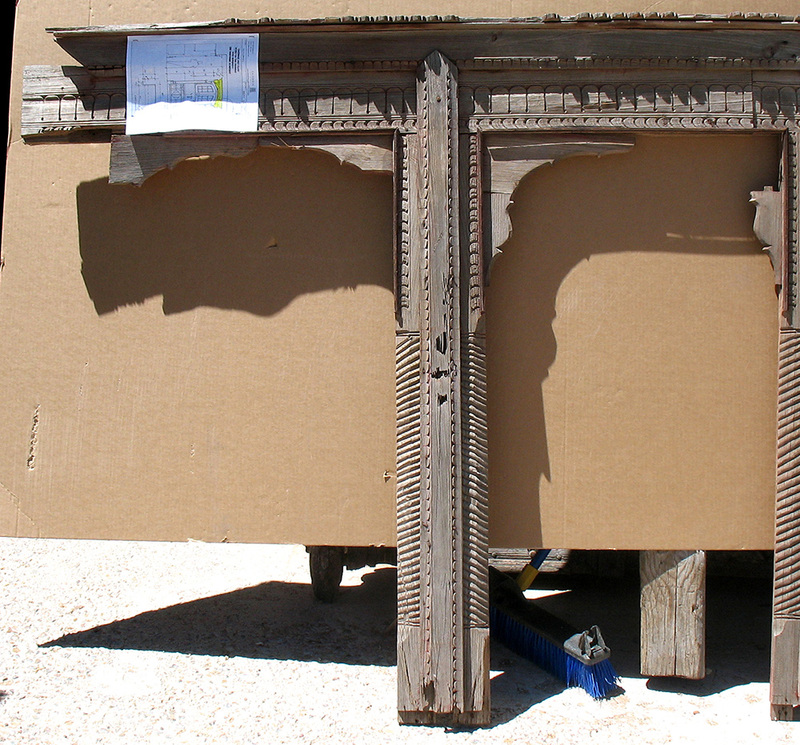 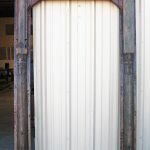 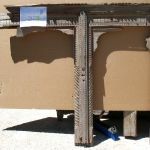 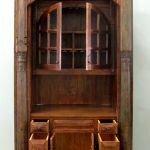 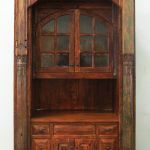 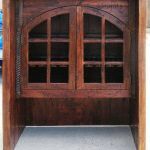 The additional photos show the antique column and antique door surround fragment that were used to embellish the cabinet, as well as details of the finished cabinet, the cabinet surround and how deeply the cabinet goes into the wall (the portion painted black).